Time-dependent alterations in the ultrasonography characteristics of lymph nodes during early-stage metastasis have not been compared with those of tumor-draining lymph nodes that do not develop tumor; this is partly due to the absence of an appropriate experimental model. 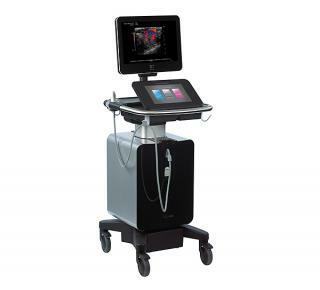 In a previous study of lymph nodes with experimental early-stage metastasis, we used contrast-enhanced high-frequency ultrasound to demonstrate that an increase in lymph node blood vessel density preceded any changes in lymph node volume. In the present study, we used an experimental model of lymph node metastasis in which tumor cells metastasized from the subiliac lymph node to the proper axillary lymph node (the tumor-draining lymph node). 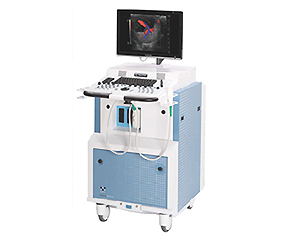 We utilized contrast-enhanced high-frequency ultrasound to perform a longitudinal analysis of tumor-draining lymph nodes, comparing those at an early-stage of metastasis with those that did not develop detectable metastasis. We found that the normalized blood vessel density of an early-stage metastatic lymph node exhibited a progressive rise, whereas that of a tumor-draining lymph node not containing tumor began to increase later. For both types of lymph nodes, the normalized blood vessel density on the final day of experiments showed a trend towards being higher than that measured in controls. We further found that mice with an initially low value for lymph node blood vessel density subsequently showed a larger increase in the blood vessel density of the metastatic lymph node; this differed significantly from measurements in controls. The present study indicates that a longitudinal analysis of the blood vessel densities of tumor-draining lymph nodes, made using contrast-enhanced high-frequency ultrasound imaging, may be a potentially promising method for detecting early-stage lymph node metastasis in selected patients. Furthermore, our findings suggest that tumor in an upstream lymph node may induce alteration of the vascular structures in draining lymph nodes that do not contain tumor.